Clean purified water is brought to a boil and readied to brew. We never settle with any of our ingredients for a true, pure taste. We work with an industry leading tea house to hand select the world’s best tea leaves for all of our beverages. Through unique combinations we’re able to put together the perfect blend of black, green, or white tea leaves to make the best tasting drink we can. Powders are never a part of our recipe and our unique hot brew stops the need for any artificial preservatives – staying true to a wholesome natural drink you deserve. 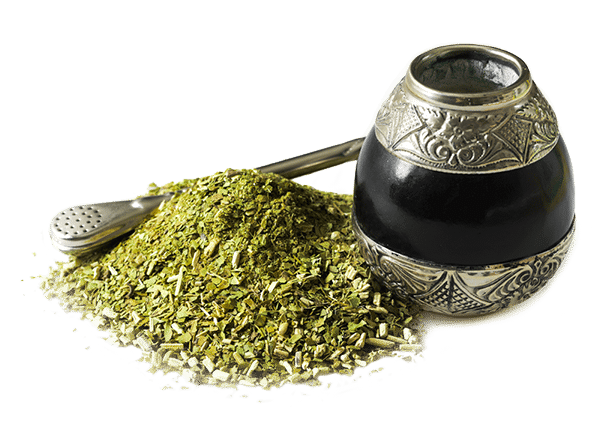 Discovered centuries ago in South America, Yerba Mate is a powerful anti-oxidant packed with health benefits and enjoyed by millions daily. Revered as the “Drink of the Gods” many in South America ritualistically drink Yerba Mate with a gourd (cup) and bombilla (filtered straw). Herbal Mist brings you this South American alternative to coffee powered by nature’s purest caffeine in a ready to drink beverage. 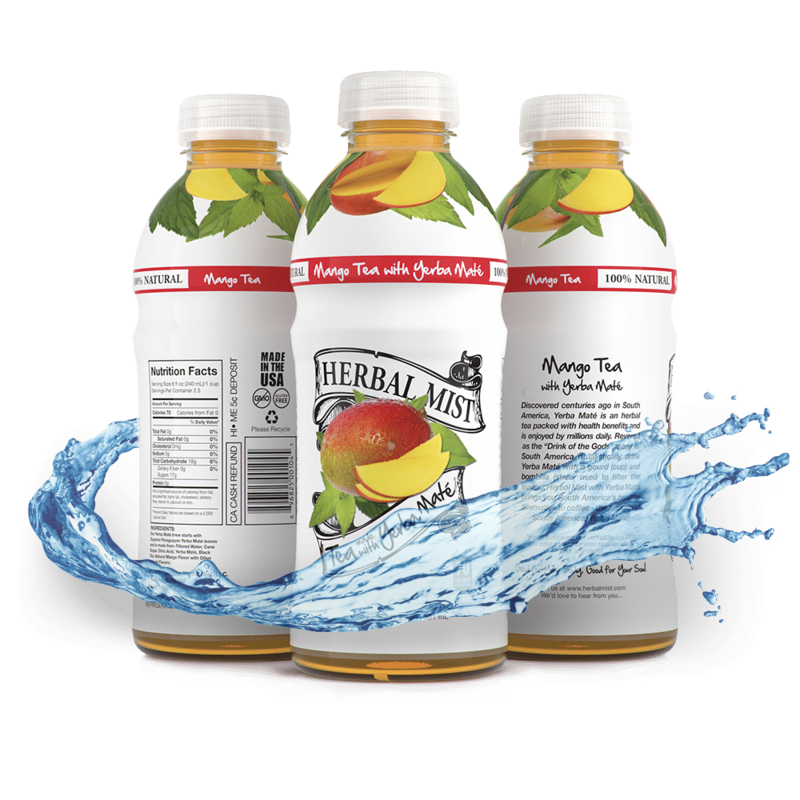 All 5 Herbal Mist flavors are made with 100% natural fruit flavors. The pure flavors and lack of concentrates or powders give our drinks a clean taste like no other. Never worry about having to shake an Herbal Mist, just keep cold after opening. 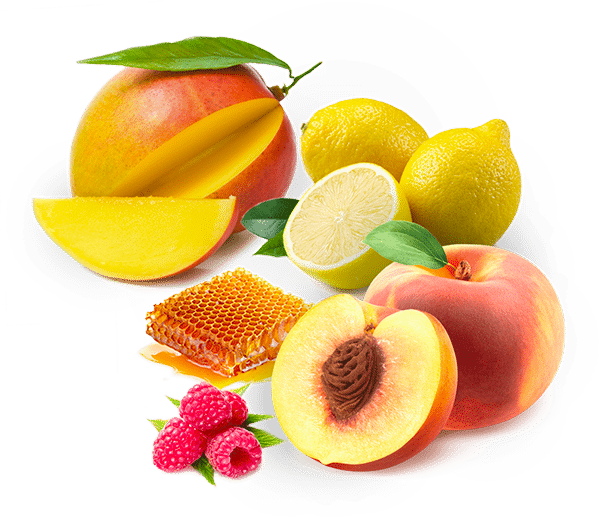 Today is a new era, according to data source Mintel over 80% of consumers check labels to see what type of sweetener is used in their beverage. These things matter to you and matter to us and that’s why we only use minimally processed cane sugar to sweeten our drinks. You’ll never find any health concerning artificial sweeteners or funky tasty alternatives – only just enough of the good stuff. And for those of you that have kicked the sugar habit completely, we have one of the best tasting Unsweetened teas on the market! You heard right, FREE shipping on all Herbal Mist Teas! We know how much of a pain it is to pay extra for shipping so we’ve worked out the best way to get our drinks to you at no extra cost.